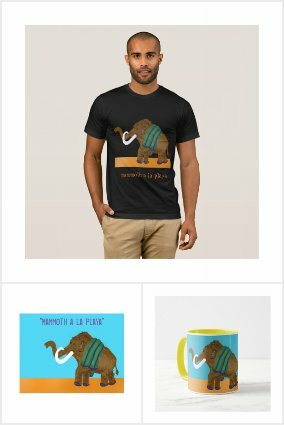 “Mammoth a la playa” is one of my new designs and it features an illustration of a cute mammoth walking to the beach, wearing flip flop shoes and carrying a towel over his shoulders. Mammoths are the extinct relatives of the elefants and inhabited Africa, Europe, Asia, and North America. The slogan I invented, of course, is a rhyme to a famous song that surely many people know. So, check out my products in my zazzle shop if you like. Giant Anteaters are mammlas living in South America, feeding on ants and termites. They have elongated snouts equipped with a thin tongue that can be extended to a length greater than the their heads. Their large, curved foreclaws are used to tear open ant and termite mounds and for defense and their long fur protects them from attacks from the insects. Mothers carry their babies on their backs, which looks really cute. I’ve decided to draw an anteater on a cool retro sofa, because I’m a fan of anteaters and of those classy old pieces of furniture. My favorite product is a black shirt for women, with the cute little fellow on the couch and the slogan “There’s no place loke home”…The colors and image look really classy. 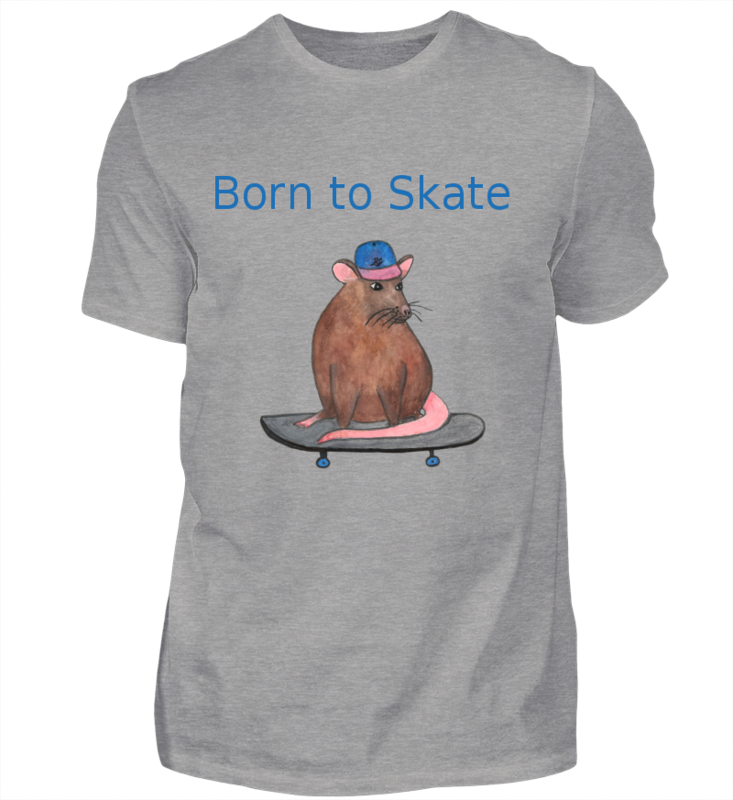 The other products with this design can be seen in a collection on zazzle, check it out if you like. 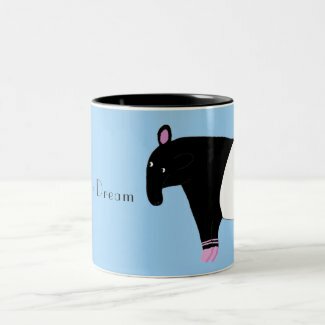 Today I am going to introduce my new designs, sold in my zazzle shop featuring tapirs. Before that, however, I would like to write some words about those gorgeous animals. Tapirs are herbivorous mammals with a cool and cute prehensile snout which they use to grab the plants they are eating. They are in my opinion the perfect animals to draw, especially the Malayan tapir (Tapirus indicus) with its eye-catching markings in black and white. This pattern is for camouflage. Young tapirs have brown hair with white stripes and spots, allowing for an even better camouflage. The Malayan tapir is native to Asia while the other species inhabit the jungles and forests of South and Central America. Unfortunately nowadays they are in danger of extinction or vulnerable. Please save the tapirs! My tapir designs feature a tapir completely in black and white with a tuxedo indicated at his neck region and a tapir girl wearing a pink ballet costume with a tutu and ballet shoes. The other one is with the tapir couple looking at each other. This time I used a grey background color. This mug is a really cute gift for your boy-friend, girl-friend, husband or wife. Hi there, I hope you are doing well, one week before christmas. Today I want to introduce some of my new designs sold in my zazzle shop, featuring a cute Black Bear (Ursus americanus), native to North America. I love bears a lot so I designed a children’s shirt, a bodysuit for babies, a bib, a super cute mug and a unique pillow. The mug in addition features an ornamental pattern, as well as the text “I love you BEARY much”. This decorative pillow is designed as a gift for someone you really love: your sweetheart, mother, father, friend etc: Because around the full moon there is written “I love you BEARY much”…A cool and unique ornamental pattern fringes the illustration. Today I will introduce my designs with oriental Rug Patterns to you. During my many visits to the Near and Middle East to Turkey, Syria, Eqypt and the United Arab Emirates I grew to love oriental rugs and carpets. I own some myself, and I especially like my camel saddle rug bag from Anatolia and my donkey saddle bag which I bought here in Germany on a flea market… I love the combination of colors and patterns of the oriental rugs and carpets, especially of the older, more used rugs…Therefore I wanted to integrate them into my designs. I also designed a mug in the blue version. Beautiful bright blue and black pattern of an oriental rug with sunbeams lighting it up from one side. And the pattern also looks cool on cases for your smartphone…in this case for an iphone 6, but you can also select other types. And finally check out this dog bed…you can choose the fabric (indoor or outdoor) and the size to fit for your cutie. Today I would like to present some of my products and gifts ideas for Christmas. If you are looking for stockings, ornaments, cards and cool christmas gifts you’ll surely find something on zazzle. 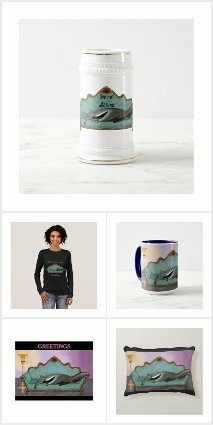 Lots of the stuff on zazzle is customizable and personalizable, giving you the chance to create truly unique gifts for the upcoming holidays. For those of you who love Australia I have two products. One of it features kangaroos. This christmas stocking is a must-have for all fans of these gorgeous animals. The cute baby in its mothers pouch and his mother are wearing Santa’s hats and the solgan “it may be Winter outside, but in my Pouch it’s Spring” adds a funny touch. Also check out this funny mug with a pattern of woven fabric and the text “Thermos Cup”. A beautiful design combined with a funny text, always a good idea for a present. 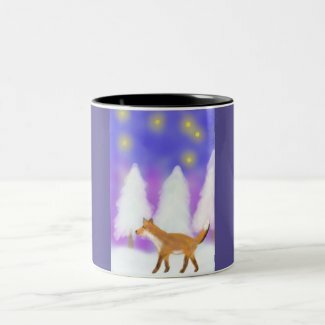 And here’s another mug that would make a great gift for cat lovers. A cute, funny and artsy leopard wearing a pink and blue ribbon. Her feline eyes are glaring right at you…Bright colors and a cool illustration. And last but not least an exotic pillow for home decoration. This brings some color and warmth into your homes at christmas. Check out my design with a black and blue bird of paradise sitting on a branch in an exotic environment. In the Zoo of Karlsruhe lives a cute and awesom white albino kangaroo called Frank. Albino kangaroos are very rare and it is difficult for them to survive in the wild. Seeing him with all the other kangaroos at the zoo that were “normal” (grey) inspired me to create an illustration of him with the message “don’t be afraid to be different”. Tolerance, acceptance and respect for oneself and others is one of the most important things to me. 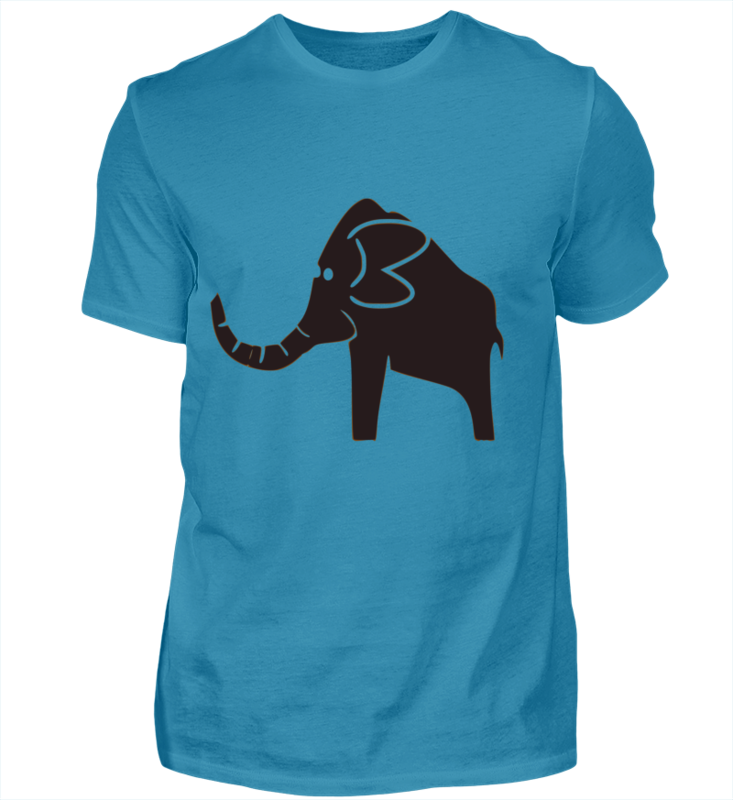 Check out my shirt design, which you can also order with other styles, for men, women or children, babys. And for children (for girls in pink, boys maybe prefer a different color – remember all products are customizable), I have designed a shirt, which also says that one should not be afraid of being different. Everyone is unique it his/her own way. Halloween – I “bat” you like it…. On the 31st of october every year little ghosts, witches and monsters walk the streets, asking for candy and scaring one another. Trick-or-treating, carving pumkin into jack-o’-lanterns, going to costume parties…Halloween is just so cool, (nearly) all kids love it. 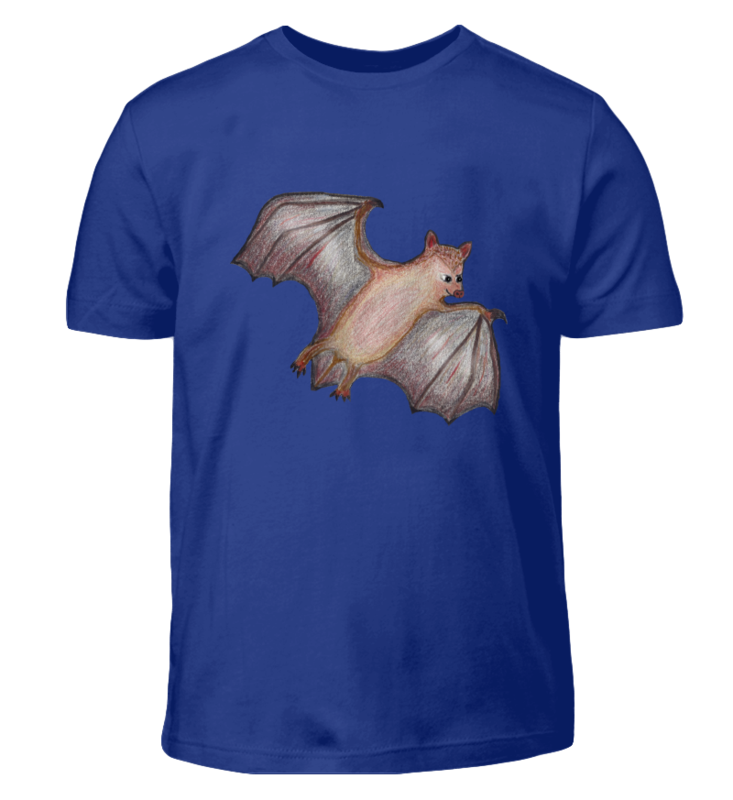 And I love it — eventhough I’m an adult — because I really like bats…I designed an illustration of a bat and one of a flying fox. Both designs look good on cards, shirts, mugs, cases etc. Check them out on Zazzle, if you like. The holiday season is arriving soon. To be prepared for Christmas, it is good to start early with buying some presents and decide which Christmas cards you would like to send to your friends and family this year. Zazzle has a great choice of Season’s Greetings cards and gifts. Besides customizable cards, there are also labels, stickers and stamps with fesive designs. For those who like christmas cards with photographs, I have designed two other collections, where the photo and texts can be personalized if wanted. If not, I think the picture I used is gorgeous too, because one can see the joy christmas brings to the children in her face. I designed cute christmas cards for penguin fans or lovers of felted animals, made from photographs of my own handmade felt animals. Or if you like it more funny, check out this card…I really love how the goat is sticking out its tongue. 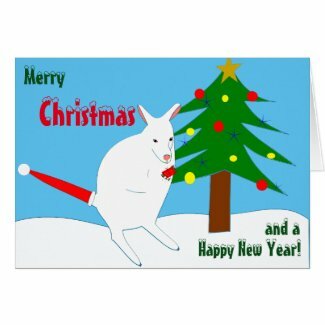 Inspired by the albino kangaroo Frank in the Zoo of Karlsruhe, I designed this christmas card. I think a white kangaroo would look awesom in the snow, but I bet it would be much to cold for him…so let’s just imagine him in the snow. And here’s a card with a beautiful fox in a winterly forest with the stars shining brightly above him.